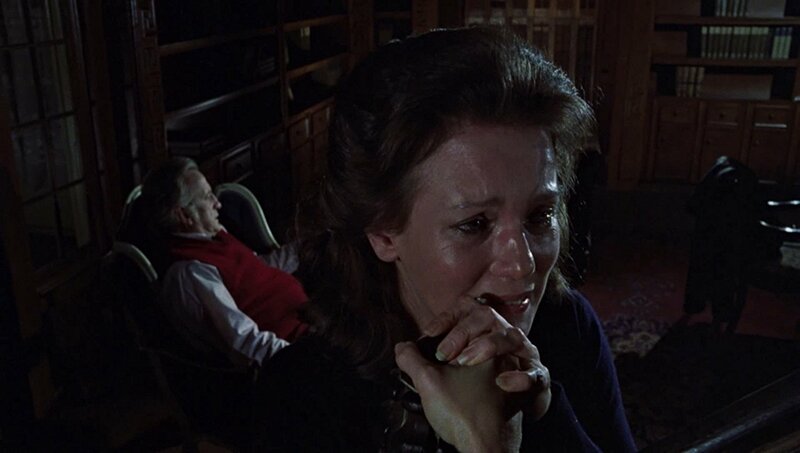 If one were to list the best examples of a classical ghost story, Peter Medak’s THE CHANGELING (1980) would sit comfortably among the likes of Jack Clayton’s THE INNOCENTS (1961), Robert Wise’s THE HAUNTING(1963), and Lewis Allen’s THE UNINVITED (1944). Medak’s 1980 effort is a triumph of formal storytelling, simple effects, and good old-fashioned artistry that, despite the familiarity of its tropes, still serves as one of the best examples of the tried-and-true haunted house formula. Underlining Medak’s interest in a classical style of fright-making, Oscar-winner George C. Scott stars as John Russell, a New York City composer who moves to Seattle following the tragic and sudden deaths of his wife and daughter. After renting the gorgeous though rickety Victorian-era Carmichael mansion from a local historical society agent, Claire Norman (Trish Van Devere, Scott’s wife), John begins to witness strange goings-on connected with the house connected to a boy named Joseph who perished in it decades earlier. John enlists the help of Claire in uncovering the sick, hidden history of the Carmichael family and setting Joseph’s spirit at rest. The film also features Melvyn Douglas—star of the urtext for all creepy mansion flicks, THE OLD DARK HOUSE (1932)—in one of his final film roles. 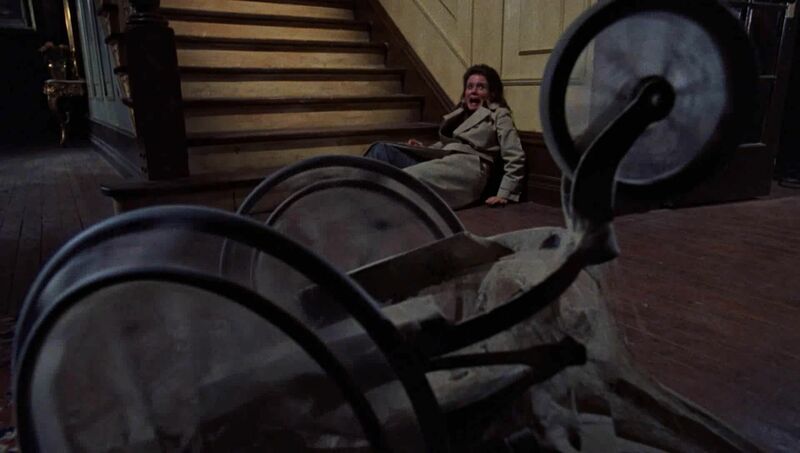 THE CHANGELING is based on actual events (though not marketed as such, like every big budget horror offering post-2000) that occurred while composer Russell Hunter was occupying the Henry Treat Williams mansion in Denver, Colorado in the late 60s. Though, in recent years, some have found holes in Hunter’s story, the screenplay based on the event is watertight, and Peter Medak brought it to life with singular craftsmanship. Medak, a Hungarian Jew whose family fled the upheaval of his country for the United Kingdom in 1956 was well-suited to helm this Canadian production. Most famous for his divisive and anarchic 1972 satire of the British class system, (titled, what else, THE RULING CLASS) THE CHANGELING is similarly concerned with and mines rich drama from the underhanded-dealings of the aristocracy and its concern with lineage and inheritance. Running tandem with this strain of class criticism is the story of a man working through his grief. Scott gives a performance of characteristic gravitas, but largely eschews the waterworks and hand-wringing typically associated with the mourner. His obsession with the ages-old death of a child not his own evinces a processing of internal pain through an external, supernatural situation: a potent metaphorical endorsement for actively grappling with emotional turmoil in the hopes of rationalizing and conquering it. Medak and cinematographer John Coquillon’s camera is ever active, lurking or looming to give the Carmichael house a sense of intangible presence. The frame is often set higher or lower than one would expect to give the viewer the uneasy sense that the characters are being seen by something unnatural just out of eyeshot. The camera seems never to rest, and if it does stop, you get the feeling that it’s lying in wait, chomping at the bit to creep forward again. Though THE CHANGELING is a classy, odd-duck release for the sleazemeisters at Severin films (no shade, I’m enjoying my gorgeous copy of EMANUELLE AND THE LAST CANNIBALS immensely) one couldn’t imagine a finer treatment. Severin’s Blu-ray boasts a new HD transfer created from a 4K scan of the inter-positive film element. The image is excellent. Though some outdoor scenes feature noticeable grain, clarity isn’t really an issue and THE CHANGELING features that gorgeous, film-stock grit that will warm the cockles of any cinephile. English audio is presented in DTS-HD 5.1 and 2.0 Stereo. The lossless presentation is great, with good balance and zero hiss or distortion. On the special features front, Severin has offered up a mountain of good stuff. An audio commentary with Peter Medak and producer Joel B. Michaels moderated by Severin Films’ own David Gregory is worth the price of the disc itself, while THE MUSIC OF THE CHANGELING: INTERVIEW WITH MUSIC ARRANGER KENNETH WANNBERG, and BUILDING THE HOUSE OF HORROR: INTERVIEW WITH ART DIRECTOR REUBEN FREED are both very insightful and help to showcase the craftsmanship that went into the film’s every facet. THE HOUSE ON CHEESMAN PARK: THE HAUNTING TRUE STORY OF THE CHANGELING (with author and historian Phil Goldstein, a real character and natural storyteller) is interesting viewing and THE PSYCHOTRONIC TOURIST: THE CHANGELING and MASTER OF HORROR MICK GARRIS ON THE CHANGELING assemble some familiar faces (hey Michael Gingold!) to discuss the film and explore its locations. A poster/still gallery, trailer, and tv spot round out this comprehensive package.The disc is housed in Severin’s signature black Blu-ray case with a lavish limited-edition slipcover. One of the only films to give Martin Scorsese the willies, Peter Medak’s THE CHANGELING has arrived on Blu-ray in a killer package courtesy of Severin Films. This formal exercise in fright is a must-buy for anyone who loves a good old-fashioned yarn or has grown tired of cgi-plagued spook shows, which should mean just about everyone. Invite it into your abode before it’s too late! An excellent movie, and over-all a fine blu-ray presentation, although you missed some issues with it. The 5.1 audio is plagued with missing sound fx and dropped lines of dialogue … including a very important line: “My name, Joseph Carmichael” in the scene where Russell (George C. Scott) is playing back the tape of the seance. There are about a half dozen lines that are missing throughout the film. There is also a minor video glitch at about 58 minutes in where there is a jump of a few frames. And, if you buy the version with the CD soundtrack, the last track has a burned-in skip and audio drop-out. Severin is offering free replacement discs.